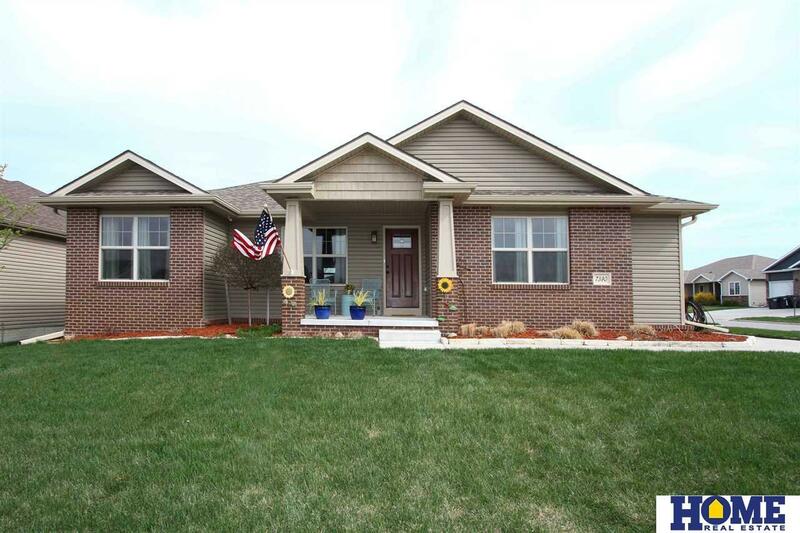 Step inside this lovely Craftsman inspired ranch style home located in the Woodlands at Yankee Hills in south Lincoln. Vaulted ceilings and hickory wood floors in the kitchen and living rooms give this open floor plan home a warm and welcome feeling. The kitchen boasts oak shaker cabinets and trim, granite countertops, and custom glass tile backsplash. The spacious master bedroom includes a walk-in closet, large tiled walk-in shower and granite counter tops. Two additional bedrooms are located on the main level. Laundry is conveniently located on the main level as well. The finished basement has a 4th bedroom with egress window, family room and bathroom. Outside you will appreciate the 3 car side load garage, 15x15 patio, underground sprinkler system and privacy fence. Excellent location near schools, shopping centers and gyms.